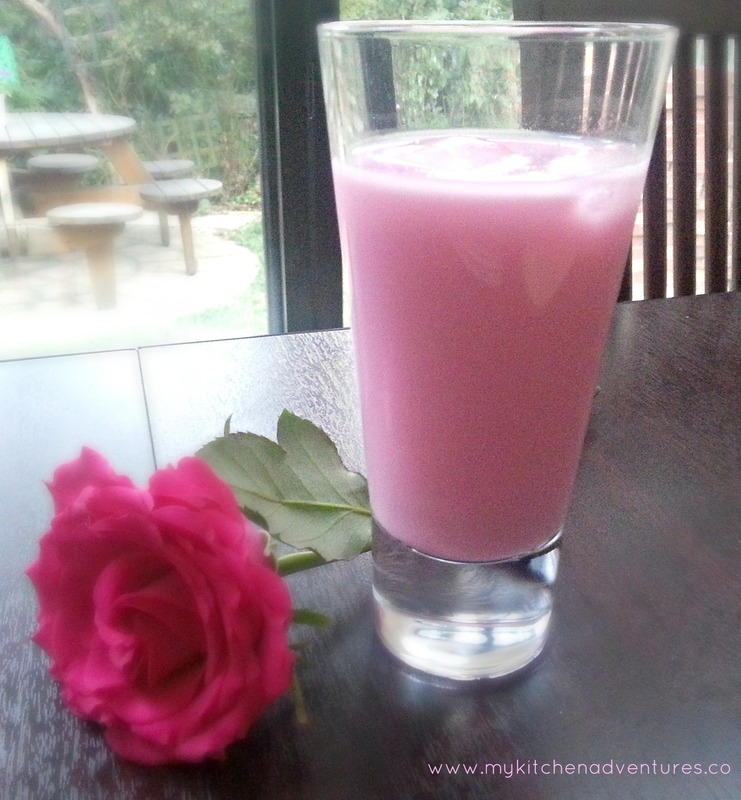 You need to make the drink using 1 part rose syrup to 5 parts milk. So for one big glass it’s about 100ml of syrup to 500ml of milk. But taste and then add more if you like.